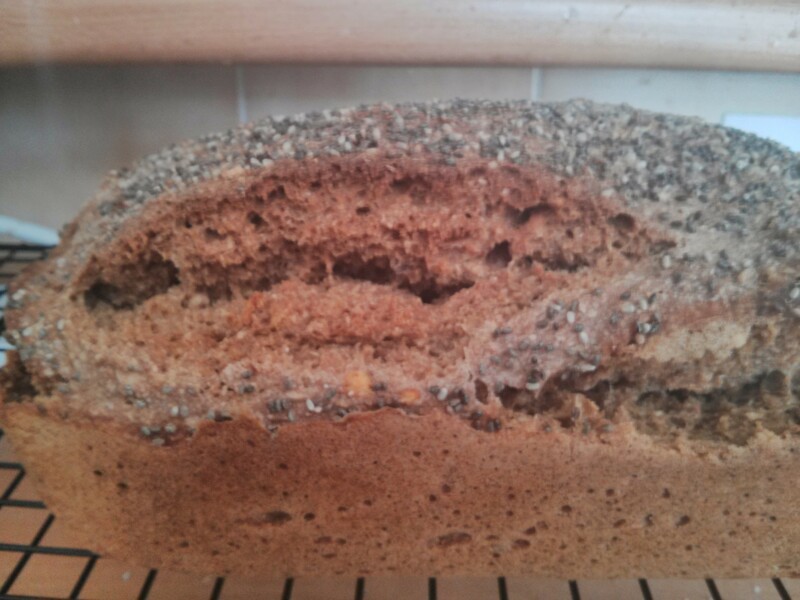 This week I’ve decided to add some red lentils to the basic bread mix, along with 200g of the granary flour I opened last week. I salvaged the ones on top that weren’t burnt, and put that in the bread, and am going to spend the rest of the day cleaning that bloody pan! I think the problem was that I was only using a handful of lentils (end of the pack) so there was very little water compared to what you’d normally use for larger amounts of lentils. Whatever… next time I’ll keep an eye on them while they cook! 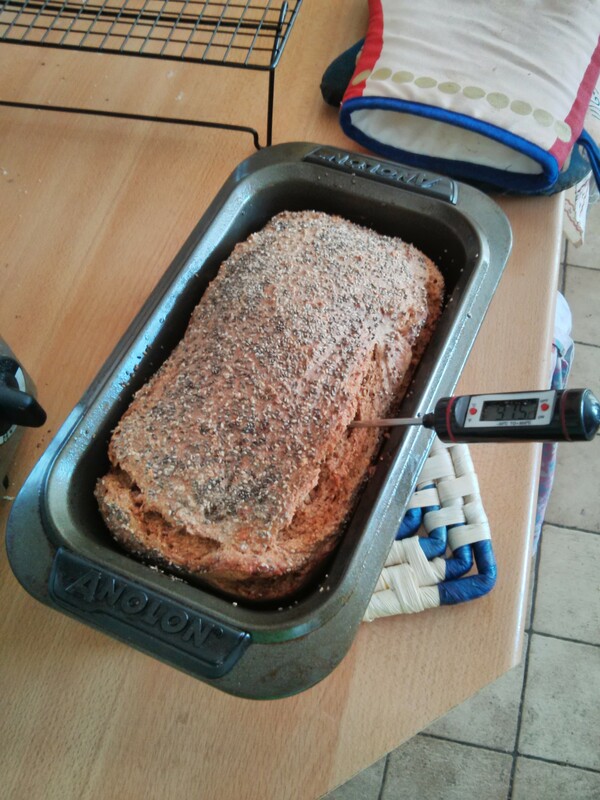 Anyway, the bread cooking went smoother and after the usual 15min max/45min at 180c fan the bread was over 90c inside. And of course it had my trademark crack in the shoulder. Cutting into it… and there’s a gap at the top :( I assume the hot weather made it over-prove. However it tastes great! 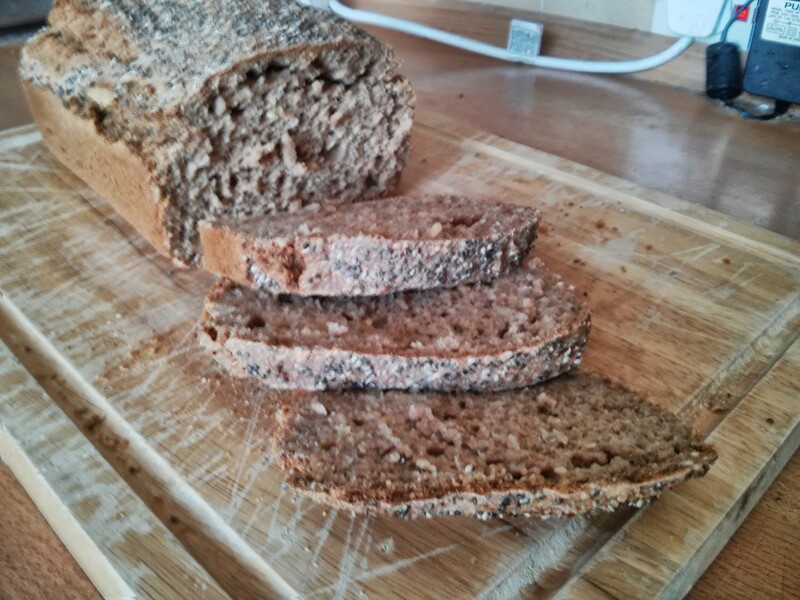 The lentils really complement and add to the rye flavour.